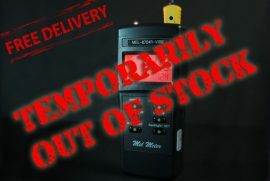 The EDI utilizes a highly sensitive Electromagnetic Field Sensor programmed to detect changes in the electromagnetic field around the device. Lights near the sensor illuminate and change intensity to indicate fluctuations and strength of the energy change. A speaker will also alert you to sharp change in EMF which can be switched on/off as you see fit. The EDI contains an ambient temperature sensor with a real-time digital display. Lights near the sensor illuminate to alert you to changes in temperature. 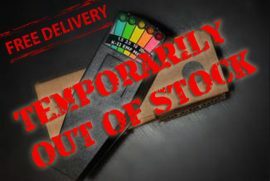 If temperature changes sharply in a short period of time that might be indicative of something paranormal, the device will alert you with rapid blinking of the top red LEDs. 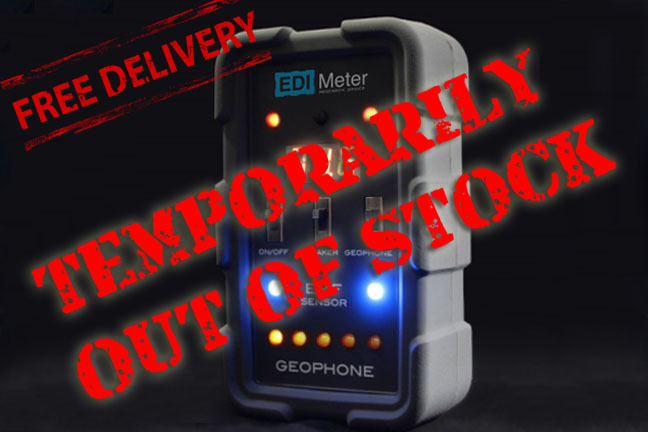 The EDI contains a very sensitive geophone for detecting motion and vibration. A built-in accelerometer is programmed to pick up the slightest movements or vibrations on the surface it is sitting on. Even a small touch on the table the device sits on will set off the alert indicator – a panel of lights along the bottom of the unit. Like a graph, the device will light up the amount of LEDs based on the intensity of the vibration or movement. This can also be toggled on/off by a switch on the device if the device is being used in a hand-held fashion. The EDI is built strong from the inside out. With a hard shell case and protective, rugged rubber boot you can feel confident it will be well protected. 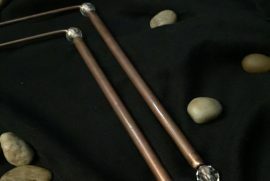 BRONZE DOWSING RODS Glow In The Dark With the conductivity of copper handles. Each pair of rods have been placed onto The Hemlock Stone in Nottinghamshire to absorb some of the strong earth energies present in this area. during the night before May Day continued until the early 19th century. Quoted as ‘the ouija board Game of this century’ The ‘Spring Ouija’ is a mysterious mystifying game that has a multitude of functions that allow it to bend, twist, turn and knock. The Ouija board (Pronounced WEE-JA) has always been mysterious and mystifying for over 30 years. Ask the spring ouija a question and it will respond by spelling, turning, twisting and copying knocks to spell out your answer in the glowing in the dark message planchette viewer or by copying knocks. Look Into The Future, Have fun! And Remember. The Spring Ouija Is Just A Game… Or Is It? 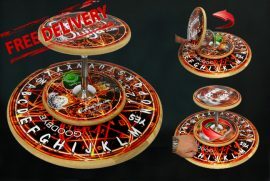 The ‘Spring Ouija Board’ has a multitude of functions that allow it to bend, twist, turn and knock and much more. 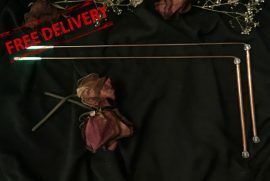 Our customers claim ‘People that are used to communicating via traditional method game Boards can now use the Spring Ouija board as a new, exciting and fascinating Game for communication and mystery’. The ‘Spring Ouija’ has a strong spring at its core, which allows for flexible movement during an investigation. The outside of the base features lettering, similar to a traditional ‘Ouija Board. Ask spirits to bend the top of the Spring Ouija into the direction of the letters, or towards the ‘Yes’ and ‘No’ markings to see what answers you can get. The base of the spring ouija features traditional Ouija board lettering, with the rotating base acting as a pendulum to ‘point’ at the spirits chosen letters. Similar in a sense to a Ouija Board, you can ask spirit to come forward and to communicate via the pendulum and ask for more in depth information. What will you find? Due to the Spring Ouija’s unique design, during investigations teams like to experiment with knocks taps and bangs as well as many other ways in which spirits can communicate. Ask spirits to come forward and move the spring in the shape of letters! The possibilities are endless. Push On/ Push Off Sound Switch for Radiating Antenna. REM Feature radiates 360 deg. 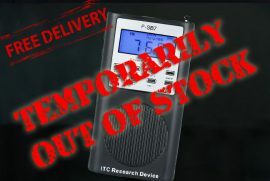 The P-SB7 utilizes a milli-second adjustable Forward or Reverse frequency sweep technique;FM frequency sweep which includes an additional 119 new frequencies from 76MHz to 87.9MHz.